A previous thread started to get derailed due to a debate about the continuity of the Godzilla franchise, so I thought it might be helpful to dedicate a separate thread to this topic so the discussion can continue here. I previously worked on an article about the continuity of the Godzilla series on Wikizilla, which was also featured on our YouTube channel. Neither of these really went into detail about how the continuity fits together, they primarily just described it. 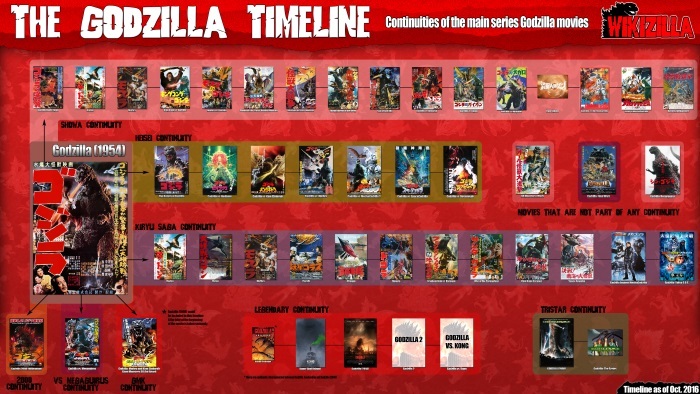 So here, I will try to lay out the Godzilla continuity as I understand it. The continuity of the Showa Godzilla series simply enough comprises every Godzilla film from Godzilla (1954) to Terror of Mechagodzilla, with the arguable exception of All Monsters Attack, which features monster scenes set in the imagination of the protagonist. Destroy All Monsters is generally assumed to be the chronologically final film in the series: despite being produced in 1968, the opening narration places it at the end of the 20th century (1999 specifically in the English dubs, 1994 in the original Japanese version according to Japanese Wikipedia). The subsequent Showa films are presumably all set in the 1970's (Godzilla vs. Megalon specifically places itself in 197X), so it is assumed they all happened before Destroy All Monsters. In addition to all the Godzilla films, there were numerous non-Godzilla films produced by Toho in the Showa era, many of which introduced kaiju that would later make appearances in the Godzilla series. Whether or not most of these films take place in the same continuity as the Godzilla films is unconfirmed, however we do know that both Rodan and Mothra are part of the Showa Godzilla continuity. The Mothra featured in Mothra vs. Godzilla is the same individual featured in her debut film, designated as "First Generation Mothra." The characters in Mothra vs. Godzilla all know what Mothra is and her existence is common knowledge, though there are few explicit references to the film's events specifically. 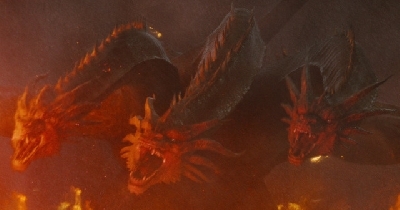 In Ghidorah, the Three-Headed Monster, Rodan emerges from Mt. Aso, Kyushu, the same location where the two Rodans nested and were seemingly killed in 1956. Selina Salno (the Venusian prophetess) acknowledges this, claiming Rodan will be resurrected by volcanic gases. We don't actually know for absolute certain if this is a surviving 1956 Rodan, but the characters in the film all know what Rodan is. The 1973 television series Zone Fighter also exists in this continuity, with Godzilla, Gigan and King Ghidorah all making appearances and the show's events fitting neatly between Godzilla vs. Megalon and Godzilla vs. Mechagodzilla. Like I said before, explicit continuity nods in the Showa Godzilla films are rare, but there still are some and they are usually limited to only the film directly prior. Godzilla Raids Again explicitly acknowledges the events of the original film, and introduces a second incarnation of Godzilla, the Second Generation Godzilla. King Kong vs. Godzilla references Godzilla Raids Again, with characters being aware that Godzilla was frozen, and Godzilla emerging from an iceberg in the waters north of Hokkaido. Ghidorah, the Three-Headed Monster acknowledges Mothra defeating Godzilla in Mothra vs. Godzilla, as well as the fact that there was a second larva in that film, which has since passed away. Invasion of Astro-Monster references Godzilla and Rodan repelling King Ghidorah in Ghidorah, the Three-Headed Monster. Ebirah, Horror of the Deep itself contains no explicit references to previous films, but informational books confirm the adult Mothra featured in it is the larva from Mothra vs. Godzilla and Ghidorah. Godzilla vs. Megalon acknowledges Godzilla vs. Gigan, with Gigan being the pawn of the M Space Hunter Nebula Aliens. Godzilla vs. Mechagodzilla and Terror of Mechagodzilla are closely linked, with a stock footage recap of vs. Mechagodzilla appearing in the opening sequence of Terror. King Ghidorah: Some sources claim the 1972-1973 King Ghidorah is a Second Generation, but this may be an error due to incorrectly placing Destroy All Monsters' events before Godzilla vs. Gigan. Kamacuras: Three in 1967, one appears through stock footage in 1972, said to live on Monster Island. Unlike the Showa series, the Heisei series follows a much stricter and more obvious continuity. 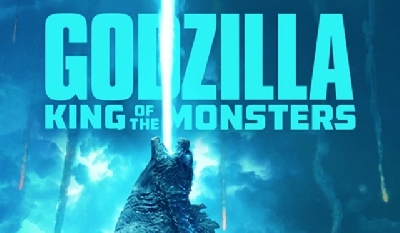 It ignores the events of all previous films save for Godzilla (1954), and its entries are all connected and will often feature recurring characters and callbacks to prior films. The Return of Godzilla makes multiple references to the original film. The characters know Godzilla first appeared at Odo Island in 1954, and photographs of his 1954 attack are shown. The film never mentions the use of the Oxygen Destroyer nor does it discuss whether this is a new Godzilla or the original returned to life. Godzilla vs. Biollante picks up five years after The Return of Godzilla, with Godzilla still trapped inside Mt. Mihara and stock footage of his 1984 attack shown. Godzilla vs. King Ghidorah is where the continuity can start to get muddled due to its time travel plot. At the outset, it acknowledges that Godzilla is infected with the ANEB and sleeping in the Sea of Japan, name-dropping Biollante as the reason he was driven there. The time travel is confusing and a frequently-debated subject, so here isn't really the place to discuss it. What's important to take away from it is that the events of Godzilla (1954), The Return of Godzilla, and Godzilla vs. Biollante were not erased from the timeline, as their events are referenced in subsequent films. Godzilla vs. Mechagodzilla II acknowledges the Godzillasaurus species from Godzilla vs. King Ghidorah, and Mechagodzilla is said to be built from the remains of Mecha-King Ghidorah. Godzilla vs. SpaceGodzilla acknowledges Godzilla vs. Mechagodzilla II with Godzilla having adopted a son, and Godzilla vs. Biollante with Godzilla killing Goro Gondo and battling Biollante. It also mentions Godzilla vs. Mothra and shows stock footage of Godzilla's battle with Mothra and Battra. Godzilla vs. Destoroyah contains numerous nods to Godzilla (1954), finally confirming that the original Godzilla was indeed killed by the Oxygen Destroyer in this continuity, and it also references Godzilla vs. SpaceGodzilla through the location of Birth Island, and The Return of Godzilla and Godzilla vs. Biollante through the construction of the Super X3. TriStar Pictures' GODZILLA (1998) was envisioned as a complete reboot to the series' continuity, set in a world where Godzilla and giant monsters have never appeared before. In Emmerich and Devlin's own words, the only tie to the 1954 film is the existence of a Pacific Island legend speaking of a creature called Gojira. The 1998 film never received a sequel, but an animated series was produced as a continuation of it. The series sort of retcons the 1998 film's ending, with Nick now being present when the baby Godzilla hatches, but aside from that it treats the 1998 film as canon. The Millennium era is often seen as the most confusing example of the series' continuity. This is because it isn't one overarching continuity, but a staggered anthology of several standalone stories each existing in their own continuities. Each continuity will be broken down individually. Godzilla 2000: Millennium makes absolutely no reference to any film prior. All that the film establishes is that Godzilla has been around and menacing Japan for some time. Though the film offers nothing on this Godzilla's identity, supplementary materials and godzilla.jp, the official website for the series, say Godzilla 2000 is a direct sequel to Godzilla (1954), and the Godzilla featured in it is the second Godzilla to appear, after the original 1954 Godzilla. So, we can assume the events of the original film are held canon, as the original Godzilla was killed by the Oxygen Destroyer and a second Godzilla appeared sometime afterward, just as Dr. Yamane warned. Godzilla vs. Megaguirus is an odd case. It is both a sequel to Godzilla (1954) and at the same time, not. It holds only a portion of the 1954 film canon, as demonstrated by the film's opening sequence. 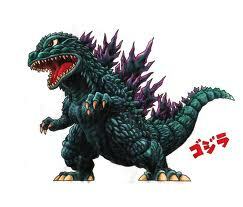 Godzilla first appeared in 1954 and attacked Tokyo before returning to the ocean. This is where Godzilla vs. Megaguirus diverges. Godzilla disappeared after this point, whereas in the 1954 film he was tracked down and killed with the Oxygen Destroyer. In this new continuity, Godzilla vanished and didn't return until 1966, when he attacked Tokai. Godzilla's next appearance came 30 years later in 1996, while the film's main events pick up in 2001. vs. Megaguirus also follows an alternate history, where Osaka was made the capital of Japan after the destruction of Tokyo in 1954, and nuclear power was outlawed in Japan in the late 60's after it was discovered that Godzilla was attracted to it. 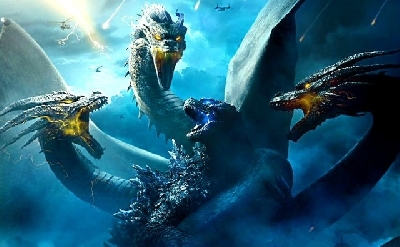 Godzilla, Mothra and King Ghidorah: Giant Monsters All-Out Attack, hereafter referred to as GMK, is another direct sequel to the original film, though its references to it are left vague and ambiguous. In this continuity, Godzilla attacked Tokyo in 1954, then killed by an "experimental chemical weapon," whose inventor "has since died." The JSDF claimed credit for killing Godzilla to avoid facing ridicule, and for almost 50 years Japan lived under the assumption that the JSDF had killed Godzilla. The film also jokingly references the 1998 American film, saying that a giant monster similar to Godzilla recently attacked New York City. The Americans believe the monster was Godzilla, but Japanese experts doubt it. This likely isn't meant to be taken literally and place the events of GODZILLA (1998) before GMK, just treated as an inside joke. 2003-2004: Events of Godzilla Against Mechagodzilla and Godzilla: Tokyo S.O.S. 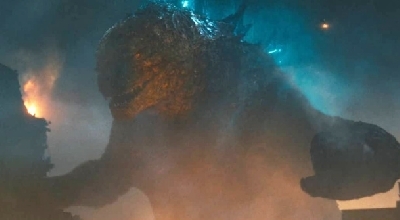 The appearance of a specific kaiju in the timeline may not necessarily confirm if the film that featured that kaiju did in fact take place in the timeline. For example, the timeline claims Maguma attacked in 1962, even though Gorath is set in 1980, and features the destruction of the moon, which is clearly present in the Kiryu Saga. It also places the Giant Octopus in 1965 rather than 1966, seemingly accepting the infamous alternate ending for Frankenstein vs. Baragon and excluding the creature from War of the Gargantuas. Godzilla: Final Wars, the final Millennium film, is another standalone film with its own continuity. Unlike the other films, Final Wars may not even be a sequel to Godzilla (1954), as it only says Godzilla first appeared in 1954 and the EDF was formed to combat him. It makes no reference to Godzilla being killed or a second individual appearing. If it is meant to be a sequel to the original film, it seems to follow the logic of Godzilla vs. Megaguirus, only establishing that Godzilla appeared in 1954. Final Wars features extensive stock footage of previous films, ranging from Space Amoeba to Godzilla vs. Megaguirus and everywhere in between. This footage is only meant for nostalgia and world-building purposes, establishing that other monsters frequently menaced Japan after Godzilla's first appearance, and is not to be taken to mean all these films occurred in the Final Wars continuity. It is unclear when the film's prologue is set, though the Maser Cannon and Gotengo props bear a strong 1960's aesthetic, but the main action of the film is set in the near future of 20XX. 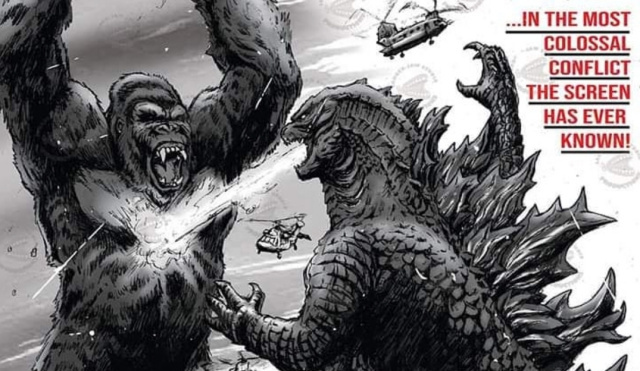 Legendary Pictures' MonsterVerse consists of two films currently, with two more in production. All four films will share a tight continuity with overarching characters and storylines. Godzilla (2014) is a complete reboot for the Godzilla franchise, ignoring all prior films including Godzilla (1954). 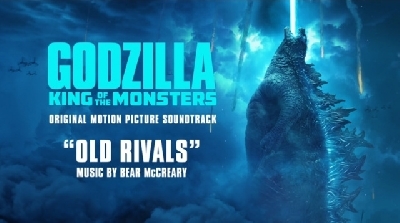 While the film does mention that Godzilla was seen in 1954, this is meant as a nod to the significance of that year to the franchise, not as a connection to the 1954 film. While the 1954 Castle Bravo h-bomb test was what awakened Godzilla in the original film, in the MonsterVerse this test was one of a series of nuclear strikes targeted against Godzilla. Kong: Skull Island is a prequel to Godzilla (2014) set in 1973, with its tie-in comic Skull Island: The Birth of Kong having scenes set in the distant past, 1995, and 2012. Godzilla: King of the Monsters and Godzilla vs. Kong will both be set after Godzilla (2014). For more details on the MonsterVerse timeline, it may be worth consulting the "Monarch Timeline" thread on this site. There is no official name for the era encompassing Toho's Godzilla films after Godzilla: Final Wars at this moment, but we on Wikizilla have adopted the term "Post-Millennium," while Japanese Wikipedia has been calling it "Phase Four" or "2010's series." Whatever the case, this new era consists so far of two continuities. The first, occupied by Shin Godzilla, is a complete reboot once again, explicitly setting itself apart from the 1954 film. Shin Godzilla is set in a world where Godzilla has never appeared before, and was spawned by nuclear waste dumping sometime in the 1950's, rather than having been awakened and irradiated by Castle Bravo in 1954. The second continuity in this era is that of the GODZILLA anime trilogy. According to supplementary materials, Godzilla first appeared in this continuity in the year 2030, making it impossible to line up with previous films. In addition, the anime Godzilla is said to have originated from plant-based life, an origin shared by no other incarnation of the character to date. This continuity will encompass GODZILLA: Planet of the Monsters along with its two untitled sequels. 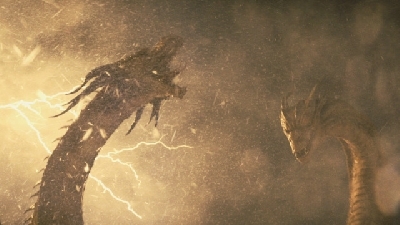 Various monsters said to have attacked Earth in the 21st century in the backstory for Planet of the Monsters. And there you have it, at least to the best of my ability and understanding at this point. I didn't really get into non-film media, but this is dedicated only to the continuity of the films themselves. The Heisei Era can get tricky due to the time travel introduced in Godzilla VS. King Ghidorah. Has the stable time loop theory involving a second Godzilla ever been confirmed officially by Toho staff or ancillary products? Because if it has, it'd go a long way in simplifying the timeline. If not, THEN we have issues. Although I'm annoyed to not see Godzilla: Awakening on the MonsterVerse continuity blurb, I understand why it wasn't included, even if I think that reasoning is entirely irrelevant and pointless. I more annoyed at seeing 'Godzilla: Awakening' on the continuity timeline photo. If we're going to do that we need to find all the comic offshoots of the other series and connect them as well--Like the Terror of MechaGodzilla short story sequel that takes place decades after Destroy All Monsters. We shouldn't cherry pick if we're going to include something as irrelevant as 'Awakening'. The full-resolution version of the timeline photo has a disclaimer under Awakening mentioning continuity discrepancies. It was only included in the image because it was one of the only pieces of official Godzilla 2014-related material available at the time outside the film itself, and one that a lot of people would have been familiar with. I was actually against including it in the image at all, as I never really put any stock into that comic. No need to explain, I figured something along those lines was the reason why it was included. I know we discussed this a lot last year for an abandoned article regarding continuity. Honestly, I should have just asked you to write the whole thing--Especially since you did this thread. I had a similar visual in the works as well. I'll need to go back and find it/finish it. ^ I actually wasn't sure if you were still working on that article, but this is something I wanted to go into depth about for a while so I decided to type up this blog post for the time being. It certainly could be refined into an actual professional article (complete with citations) at some point, so it's not intended at all to be a serious article like the one we discussed. It's just sort of a spur-of-the-moment blog post brought on by recent discussions. 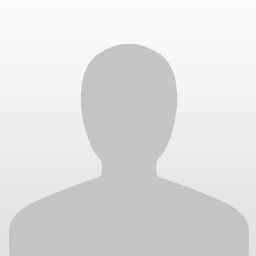 ^If you would like to head such an article with citations, I would love for you to do so. Lets chat about in private at some point. ^ Will do. Such an article will likely be a long endeavor, but I have most of the pieces already. Feel free to send me a direct message about it or find me in Wikizilla's chat room. The place of Destroy All Monsters in the continuity is somewhat confusing. For years most English-speaking fans including myself have assumed it is set chronologically last in the Showa series, but many Japanese sources I've seen tend to treat it as being set between Son of Godzilla and Godzilla vs. Hedorah instead. If and when I get to making an actual article about this topic, I'll probably go into further detail. For anyone wanting some clarification on how the time travel in Godzilla vs. King Ghidorah affects things in the Heisei timeline and how I came to the conclusion regarding it that I did in this topic, I recommend reading this article by Keith Aiken from SciFi Japan. You know, reflecting back on it, what ARE the continuity discrepancies with Awakening as of the MonsterVerse right now? The 1954 "we awakened something" deal has been neatly addressed, Castle Bravo has been duly confirmed, MONARCH's origins have been solidified, and elements and characters have already been officially included such as General Douglas MacArthur. The only thing I can think of off the top of my head is the Shinomura, and even then it's not much of a discrepancy considering that major characters and events are introduced as important to franchise continuities despite not being known earlier all the time nowadays. Plus, the current precedent set by the new Disney canon of Star Wars, Halo for video games, and others is that of an interconnected universe, unlike the past examples brought up in this thread. 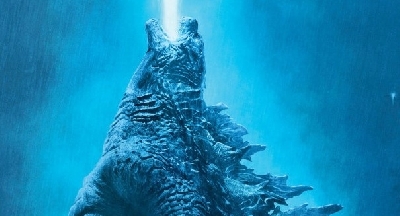 Well the depiction of Castle Bravo is completely different in Awakening than in the film, there's nothing indicating that Hiroshima had anything to do with awakening Godzilla since Kong establishes he was active in 1943, there's no way Serizawa is 70 years old, and nothing specific to Awakening aside from Monarch's founding date and the involvement of certain individuals has been retained or acknowledged in any subsequent film. I don't see why people feel the need to make all these rationalizations just to keep the comic canon. Why? What's so great or important about it? I thought the comic was pretty forgettable and didn't add much of substance to the lore, and even ignoring my personal feelings I haven't gotten any indication that Legendary cares about the comic and intends to reference it in future films. The comic is really just irrelevant at this point. It was written independent of the finished version of the film and hasn't been acknowledged in any way since its release. If Legendary comes out and says "Awakening is still canon and important to the backstory of the MonsterVerse," then I'll eat my words, but until that point I think the comic is nothing more than a forgotten piece of tie-in media that has little bearing on future installments. It's not that it's good, it's that the current precedent for multimedia franchises is to include all the media material in a franchise's continuity so as to formulate a single narrative canon. By explicitly not including some works, it muddies the waters as to what exactly should be considered or not, and thus makes the whole point of a singular canon moot. In the past, this wasn't an issue or even a consideration, but the times have changed on this matter. As to some other points, age has never been the best determining factor. For example, Ishiro Serizawa looks exactly the same in 1999 as he did in 2014, a 15 year difference. As per Awakening, he'd be in his late 40s to early 50s in 1999, a plausible age. Not to mention that plenty of people look much younger than their age would suggest; there's a 70 year old grandmother who looks like she's in her late 20s. Thus, I can buy that an active MONARCH agent like Ishiro Serizawa could look the way he does. The visual depiction is irrelevant because of medium differences and has already been retconned as per Kong: Skull Island, which has utilized the classic real-life footage instead of Operation: Lucky Dragon's CGI sequence, implying that the two are different now. As well, like the "1954 line" and the 1943 U.S.S. Lawton incident, Godzilla awakening thanks to Hiroshima isn't mutually exclusive with being active beforehand. In my own personal opinion, quality or not, I see no outstanding and explicit reason to exclude Awakening in its entirety from the MonsterVerse continuity. Every potential discrepancy has an explanation, and minor inconsistencies are by no means deal-breaking. As well, we're left with a single narrative canon that has no picking and choosing, and follows in established modern precedent. "Every potential discrepancy has an explanation"
Lets not confuse 'explanation' with 'fan excuse'. I see no reason to include it either and nothing in the films indicates we should. Well, the Stable Time Loop Theory is also just a fan excuse by any stretch of the imagination (unless I'm missing some official confirmation somewhere), yet plenty of people seem to agree on its implementation in the Heisei continuity. And nothing I've said is really an excuse, just observations that put the arguments against the graphic novel's inclusion as part of the continuity under scrutiny, since the primary arguments presented thus far don't hold up under further examination based on real-world evidence. All of what's been said thus far equally applies to many other media franchises. The Marvel Cinematic Universe is the most egregious example, as The Incredible Hulk (2008) has gotten the exact same treatment as Godzilla: Awakening has, referenced only in passing and/or by association. Personally speaking, if you had simply noted the comic in the text post alongside the Skull Island: Birth of Kong comic series, I wouldn't be going off on this mini-tirade. However, I'll happily continue this in PM if this has gotten too out of hand in this thread. Thanks to that article, I can enjoy Godzilla vs King Ghidorah a lot more now. It always confused me as to how this time travel plot point affected the 2 previous movies but now I know how through this examination. "Well, the Stable Time Loop Theory is also just a fan excuse by any stretch of the imagination (unless I'm missing some official confirmation somewhere), yet plenty of people seem to agree on its implementation in the Heisei continuity." When the "fan" in question has worked for Toho, their L.A. Office, multiple filmmakers from the series (including the director of the movie in question), etc, it holds more legitimate weight. And real world examples? You literally shot down Serizawa isn't 70 out of convenience. The comic has not made itself relevant to the movie series. It should not be included and I see no reason the films should be tied to it. I'm honestly half-tempted to try and reach out to Dougherty on Twitter and get a response as to whether or not he and the filmmakers are treating Awakening is canon or if they don't even know what it is. Okay, for that particular example, continuity time! Ken Watanabe the actor was 55 years old as of the date of the first movie, 2014. In the movie itself, in 1999, he plays Ishiro Serizawa without noticeable make-up dressing to make himself look younger, so it's a fair presumption to make that the character was in his 50s in 1999. That would make the character close to 70 years old in 2014, and fit in line with Awakening's depiction of when he was born. CONTINUITY! [Edit]: That's also a good idea, there. Since it's gonna be awhile until Godzilla: King of the Monsters, that might be our only avenue for answers until the film's release. I always thought that "Awakening" gave fans a fun introduction with Monarch and the relationship with Godzilla. I felt as though we kind of see Serizawa's origins in contrast with the beginning of Monarch. Another interesting side note: the recent book Shin Godzilla Walker, which covers a great deal of the franchise including Shin Godzilla, has some interesting details regarding the continuity. First of all, it provides years of construction for most of the JSDF weaponry, which often correspond to the films they are featured in. It says the weapons featured in Destroy All Monsters were all built in 1990, with the weapons of the 1970's films all built in the 1970's, further reinforcing Destroy All Monsters' being set chronologically last in the Showa series. Most intriguingly, it actually gives a rundown of the continuity through a chart. It demonstrates that all the Showa films comprise a single continuity, while all the Heisei films plus Godzilla (1954) comprise their own continuity. It shows that each individual Millennium film is a sequel to Godzilla (1954), with the exception of Godzilla: Final Wars, which is shown to be standalone. It also places both American Godzilla films as standalone. You can take a look at this chart courtesy of this scan from Toho Kingdom. It turns out the Godzilla X Type-3 Kiryu Completion book published last year further expands the continuity of the Kiryu Saga, detailing appearances by more monsters in that timeline. Apparently the JSDF successfully defeated Kumonga in 1967 and Gigan in 1972 using Maser tanks, while Mothra aided the JSDF in defeating King Ghidorah in 1999 prior to the second Godzilla's appearance. Hmm... The 1999 thing feels a little too close for comfort based on how characters react in Tokyo SOS. Obviously the Kiryu Saga timeline included movies we've seen, some of which clearly had altered events-- But pulling from Godzilla movies, yet Godzilla was absent from the events? Okay Toho... When was the book published, The King of the Monsters? Godzilla X Type-3 Kiryu Completion was published almost exactly a year ago, on December 21, 2016. The timeline in question was written by producer Kazunari Yamanaka. It's certainly an act of retroactive continuity, but continuity nonetheless. Weren't many of the people in Tokyo S.O.S unsure if Mothra could be trusted? ^If anything they had an uneasy relationship/stance with Mothra--Which is why this new piece of continuity doesn't really work. But here we are. It could fit if Mothra just came in, fought Ghidorah, and left leaving the JSDF confused and unsure about what just happened. so rebirth of mothra series is in the same continuity with the kiryu saga? No, Mothra herself just allegedly fought King Ghidorah in the year 1999.
oh, just making sure what is going on here. I always wondered if The Rebirth of Mothra trilogy is in the same continuity with the Heisei series at all. Hearing about her fight King Ghidorah in 1999 sounds like ROM3 to me.